Saturday night brings The Belmont Stakes, the final leg of the Triple Crown. 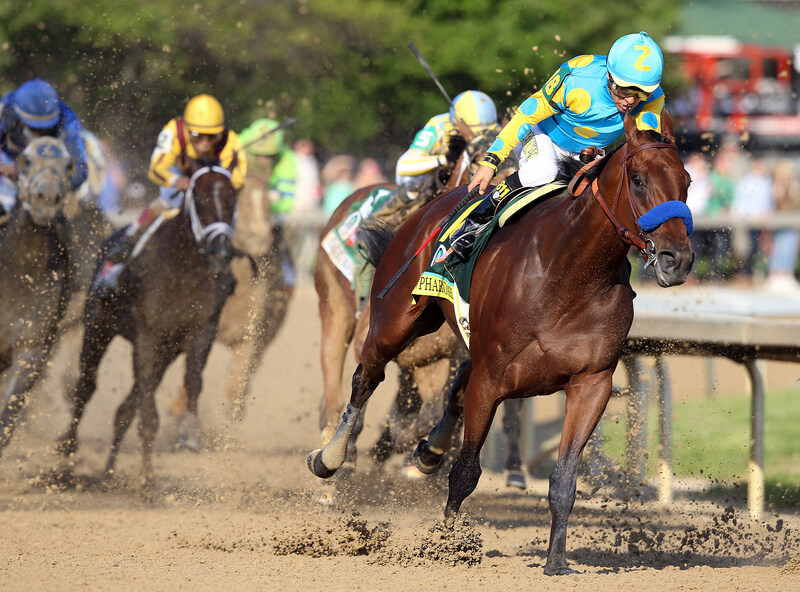 A horse named American Pharoah has already won this year's Kentucky Derby and Preakness. If he wins this one, he'll be the first horse to win the Triple Crown since 1978. WIRED has an article outlining the biological reasons behind why running all three races of the Triple Crown is so grueling to a race horse. Post-race recovery is no joke for a thousand-pound animal that can run more than 40 miles per hour. There are two weeks between the Derby and the Preakness, and three weeks between the Preakness and the Belmont. That tight schedule—and the super-specific needs of racehorses—means horses competing in the grueling back-to-back-to-back Triple Crown races have a big disadvantage against fresh horses. How much is American Pharoah worth? The horse was bought at an auction in 2013 for $300,000. As of this weekend, its worth $25 million, possibly $30 million if it wins the Belmont.